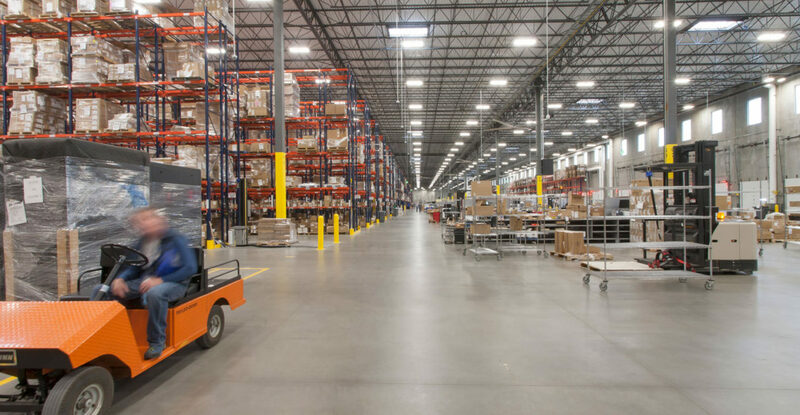 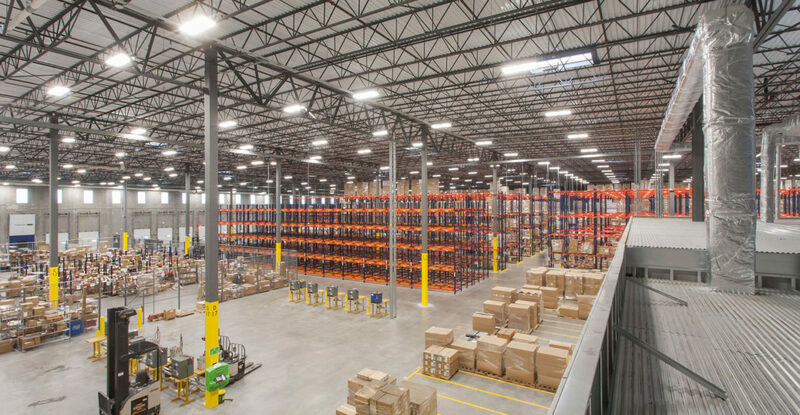 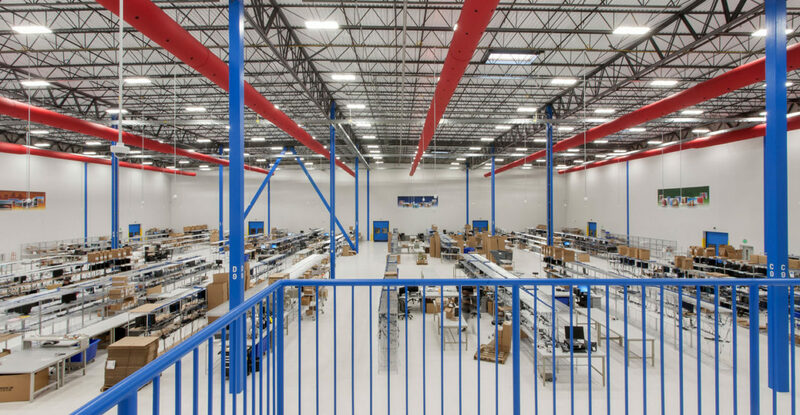 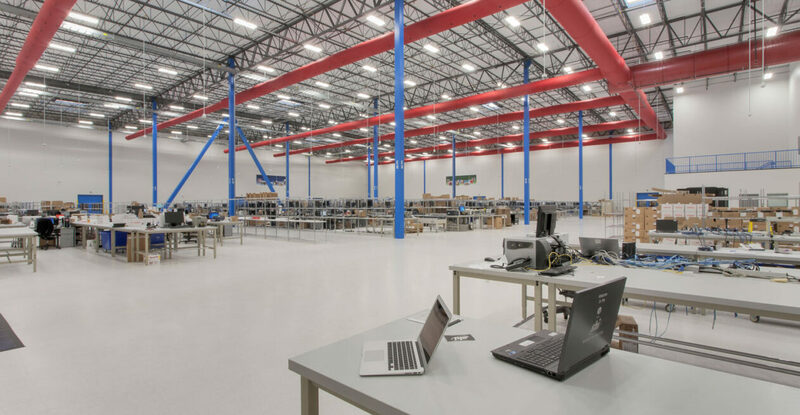 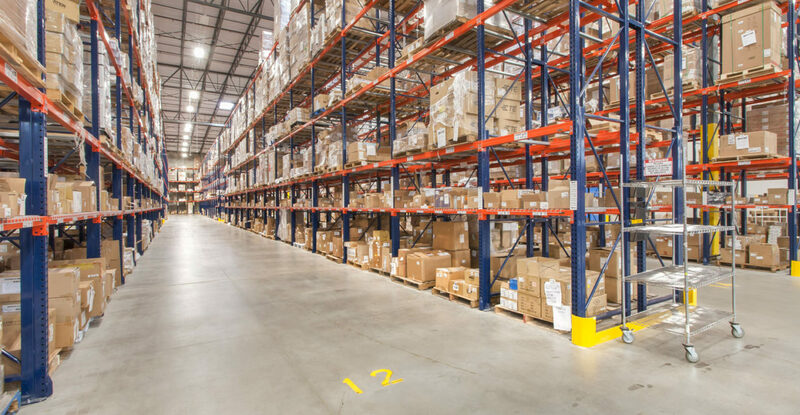 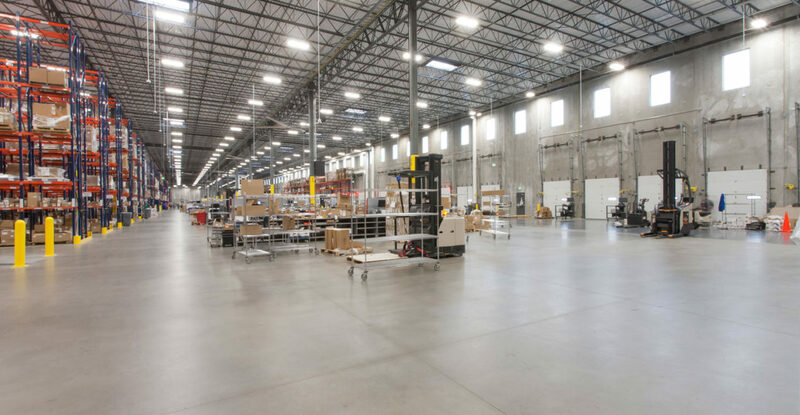 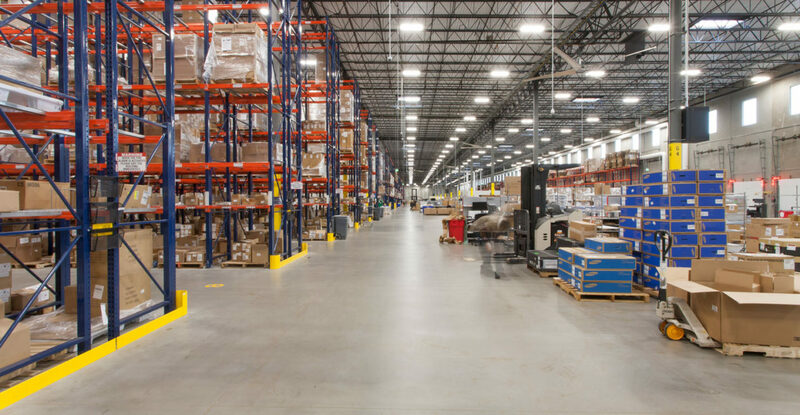 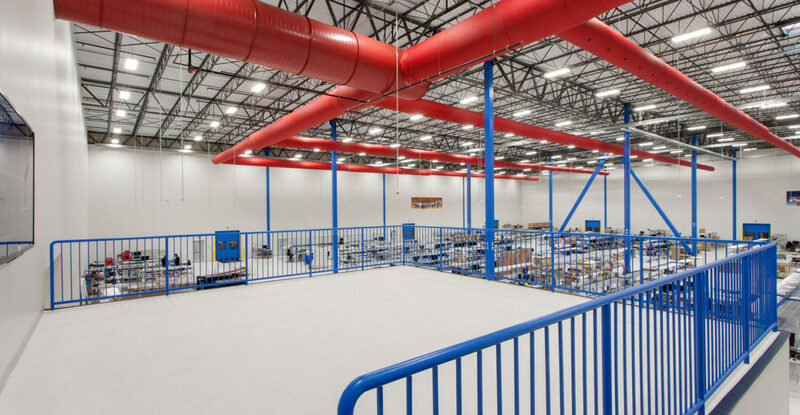 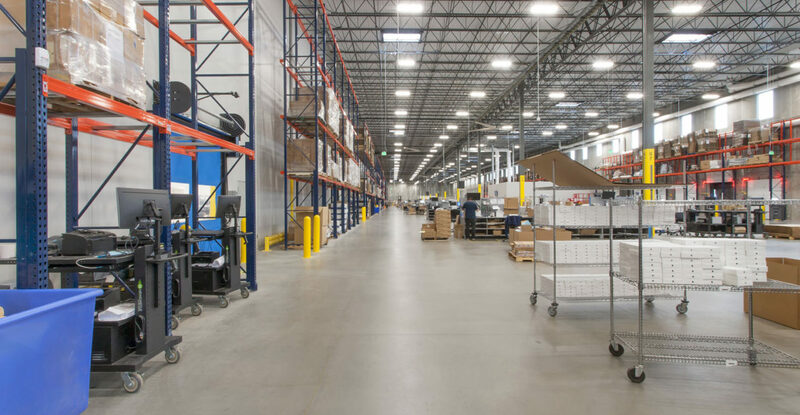 SHI International Warehouse | Unity Construction Services, Inc.
To accommodate SHI’s growing business, SHI relocated from a 100,000 square foot warehouse to a new state-of-the art 300,000 square foot facility. 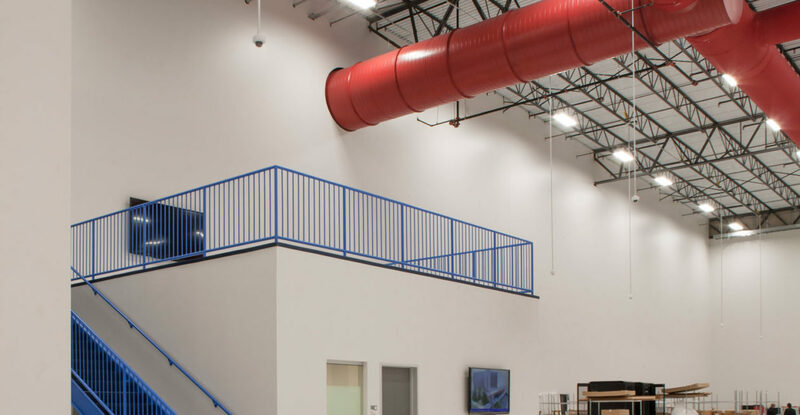 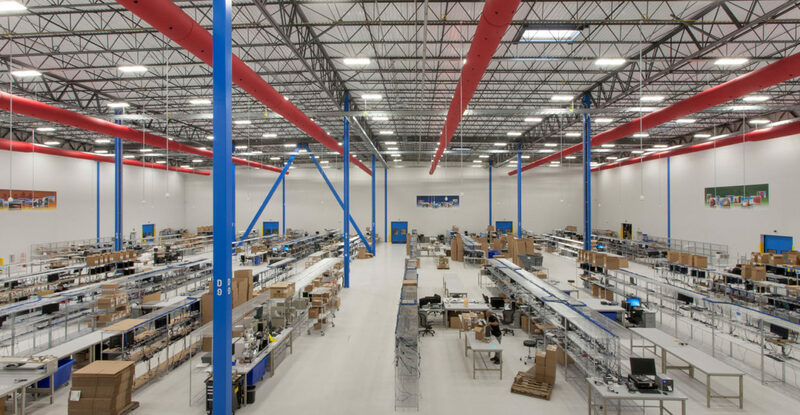 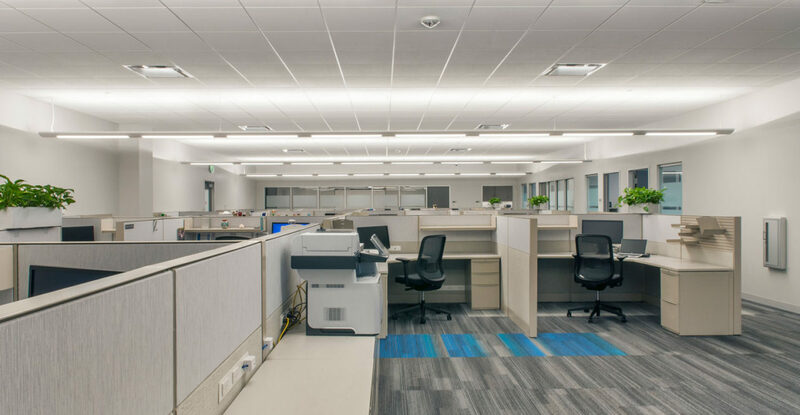 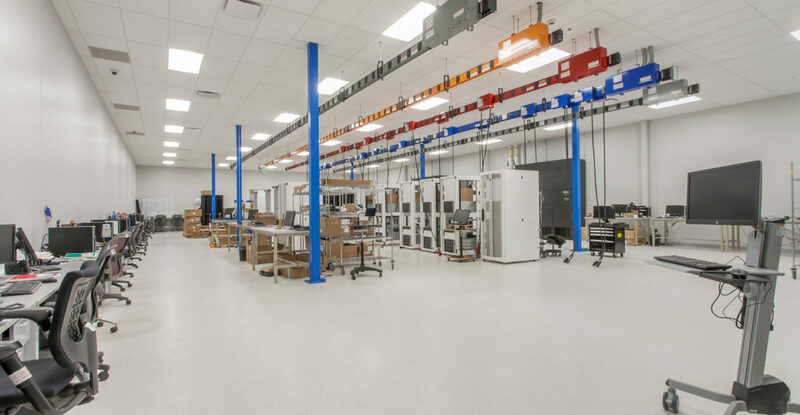 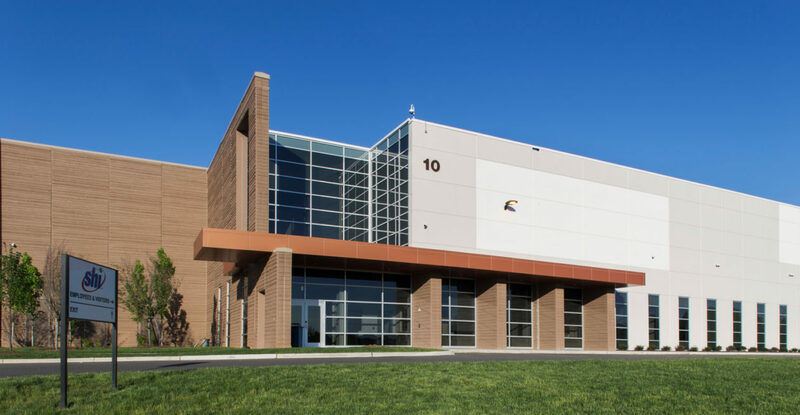 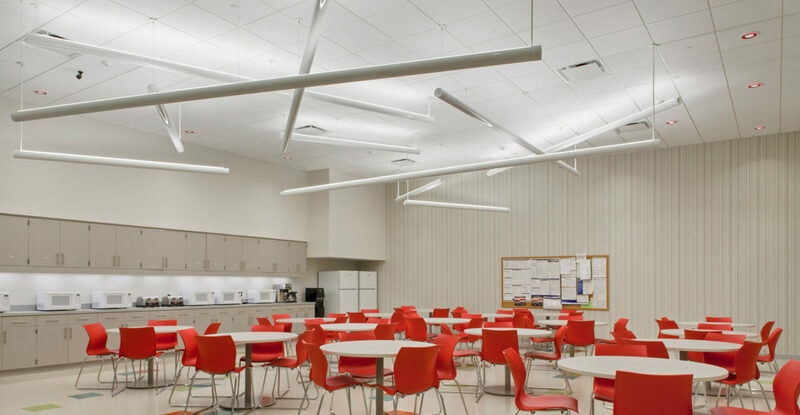 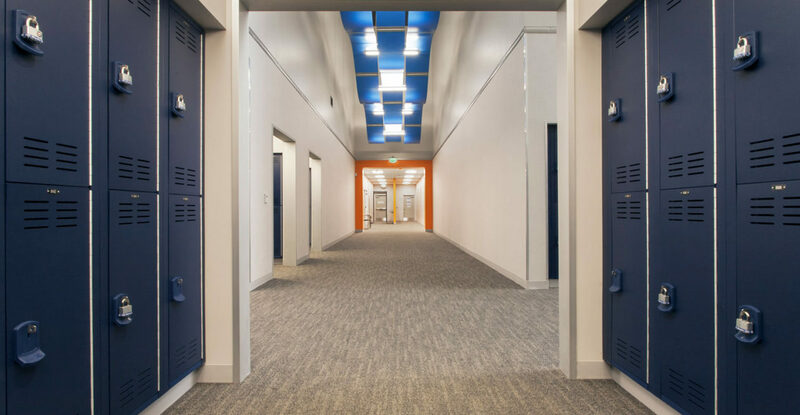 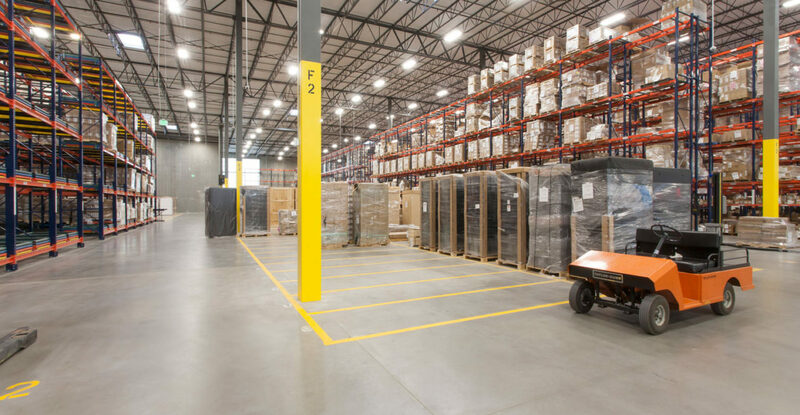 The buildout of the facility included five different areas; receiving, a configuration center, returns, the corporate area and a truckers’ lounge. 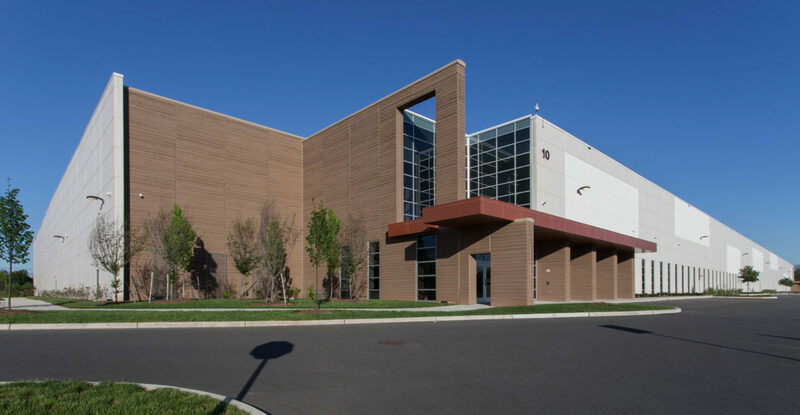 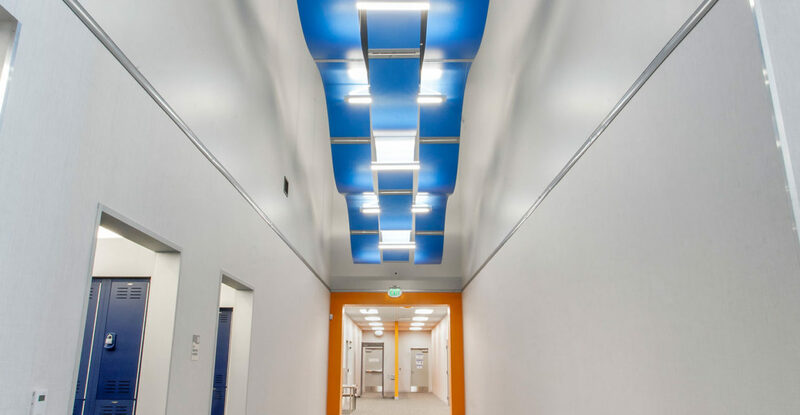 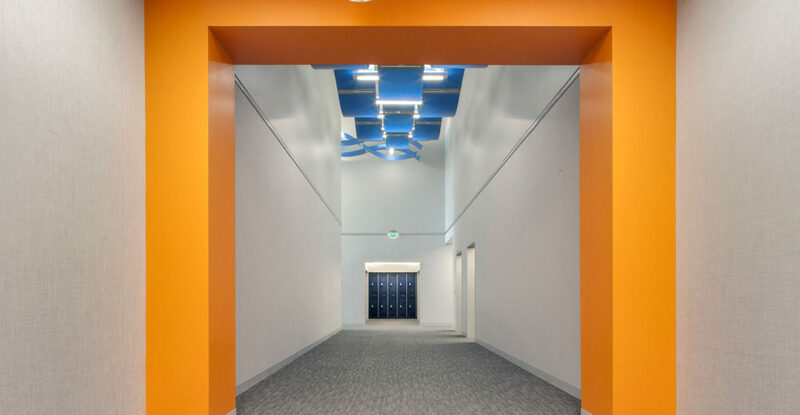 This phased project was unique, as the installation of the mechanical systems required flexibility to accommodate the roof and wall deflection of the building. 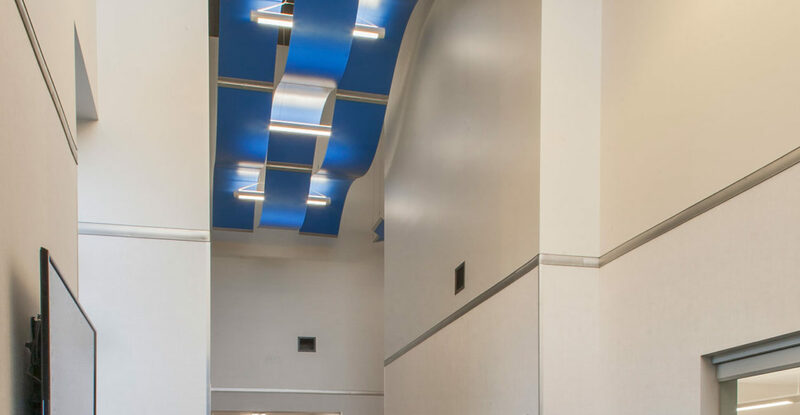 In addition, these systems had to be installed prior to the wall structures. 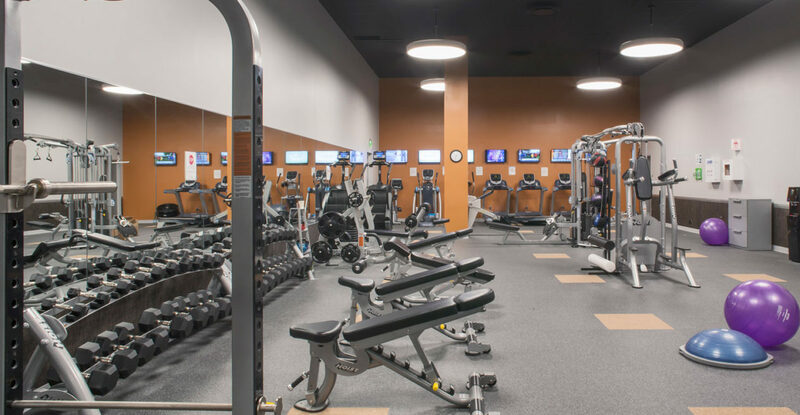 Highlighted components of the project include: a progressive 36′ high rack system, a viewing platform above the configuration area, gym and locker rooms, upgraded bathrooms and a visitor-friendly corporate area.